Aldbourne is lucky enough to have an excellent band, who we enjoy listening to on occasions throughout the year. 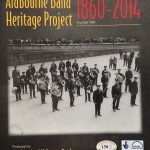 The Friends of Aldbourne Band recently ran a Heritage Project to record and present as much as possible of the history of the band. These pages are a presentation of the results of that project and the material they gathered. We are very grateful to Graham Palmer for his permission to us to make public the text of his book about Aldbourne Band. The copyright for this book is his. The text of the book we received seems to have been a late draft so please excuse the odd part that seems unfinished. 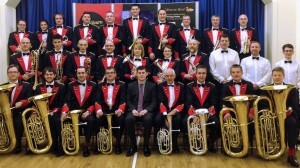 In 2013 the Friends of Aldbourne Band launched a project to record and present the heritage and history of Aldbourne band.